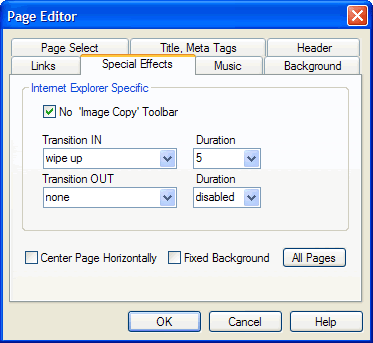 No ‘Image Copy’ Toolbar On large images viewed in Microsoft® Internet Explorer® browsers, a floating toolbar will pop up that will allow you o save, print, or email the image. Click to checkmark if you want to prevent this toolbar from appearing in the current page. Click to un-checkmark to allow this toolbar. By default, the No ‘Image Copy’ Toolbar option box is selected (checkmarked).